Tulips. 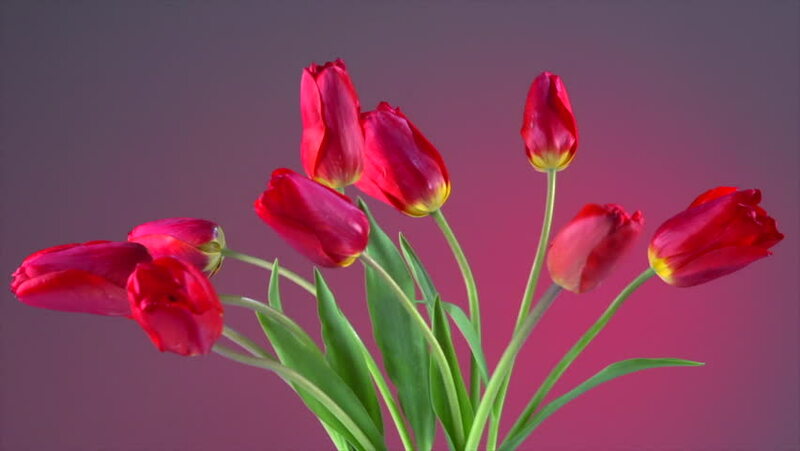 Timelapse of red tulips flower blooming on red background. Time lapse tulip bunch of spring flowers opening, close-up. Holiday bouquet. 4k00:12Colorful rose tulips with water canal in the background during the annual Holland spring festival / Lisse, South Holland, Netherlands. Shot with RED Weapon Helium 8K camera.